Assisteens are auxiliaries of Assistance League chapters that encourage and provide volunteer opportunities for young people in Grades 7 through 12. The goals are to develop a sense of both community and personal responsibility, self-reliance, public speaking and leadership skills. Assisteens raise money in a variety of ways to fund ongoing Assistance League philanthropic programs that benefit their community. The Assistance League organization has more than 2,200 Assisteens members nation-wide. More Assisteens history. Assistance League of Flintridge established our Assisteens auxiliary in 1967. Today, the program has grown to over 60 members. The group meets on one weekend day a month during the school year with opportunities on other days as they come up. Assisteens also staff the Bargain Box Thrift Shop, one Saturday per month. The Bad Weather Shelter representative of the Ecumenical Council of Pasadena works with the Assisteens Coordinator to arrange a date to serve dinner to their clients if the weather is cold and rainy. Assisteens sign up to bring food, set-up, help with check-in, serve, clean-up, and assist as needed. Assisteens have also assembled kits with essentials such as socks, toothbrushes and granola bars for homeless who seek the protection of the shelter. Assisteens use fleece fabric to make baby blankets at their monthly meetings. The blankets are provided to mothers in need. Assisteens fill bags with candy, stickers, bubbles, etc. at their meetings several times a year and the bags are then delivered to children at Union Station, a homeless shelter in Pasadena. Assisteens sign up to tutor 4th – 6th graders at after-school programs at La Cañada, Palm Crest and/or Paradise Canyon elementary schools. The Harambee Preparatory School in Pasadena provides the birth dates for all its students. Assisteens pack gift items in Birthday Bags at their meetings and attach a handmade card that says “Happy Birthday from Assisteens.” The bags are delivered to the Harambee students. Assisteens are encouraged to look toward their community and be inspired about how they can make a difference. 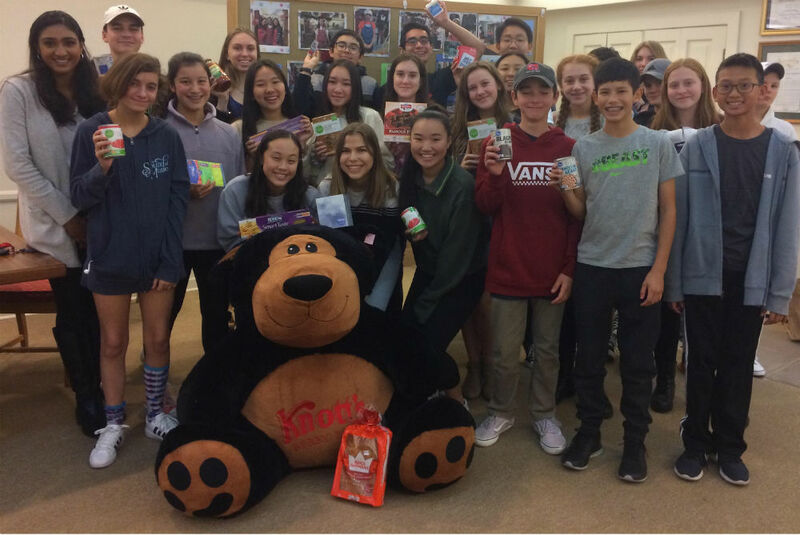 In 2017, Assisteens held a Read-a-thon at the La Cañada Flintridge library. They read books to children, made Valentine-themed crafts and provided refreshments. The teens enjoyed this event so much that they decided to do it again in 2018.